The station leader appreciated the high-resolution poster that I brought of Concordia’s surroundings seen from space. 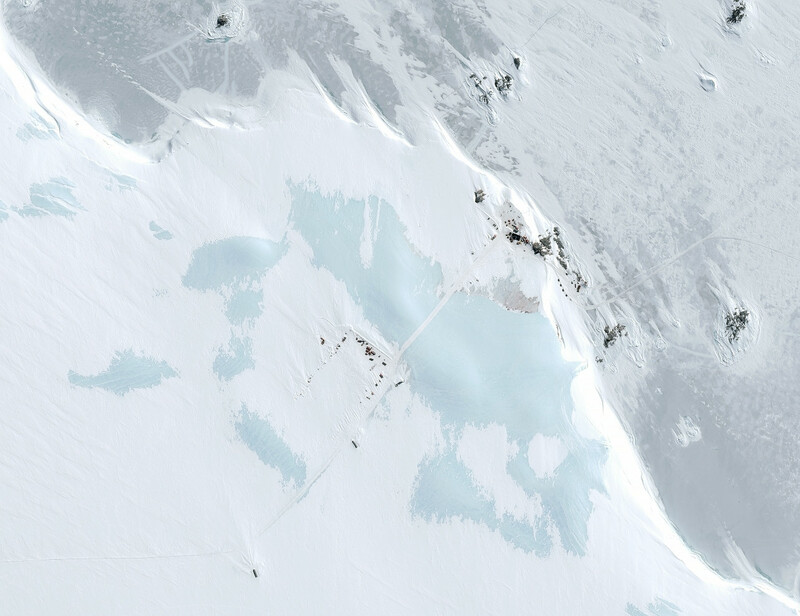 As the station grows he will use a digital version to improve some logistics on the base; the area used for scientific research already covers now 3 km x 3.5 km. 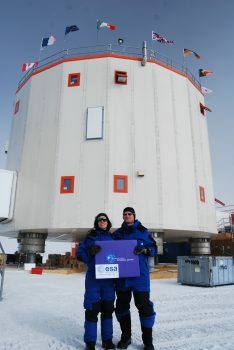 Inside the base, the medical biology laboratory is headed by Carole Dangoisse, the ESA doctor who will perform experiments on the winter crew –Concordia is a perfect analogue to a base on another planet. The energy system in the building provides air and water heating with a clever heat-exchanging system to improve efficiency. It is based on the same caterpillar engines the Raid tractors use for easy spare parts. The ice cap is an average of 2 km above sea level and contains 70% of all the world’s freshwater. If it were to melt together with Iceland’s cap the dilution of the seawater would invert currents and lead to a rapid ice age in Europe. I had the chance to do a couple of other things outside, such as a visit of the astronomy telescopes. 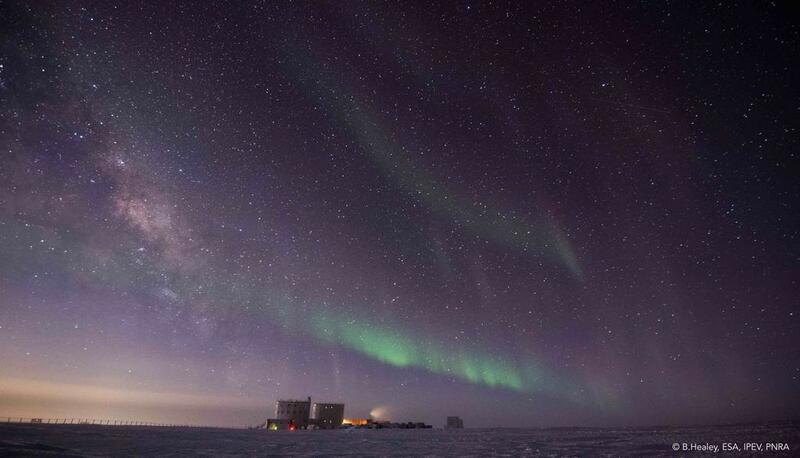 The atmosphere above Concordia is the clearest worldwide! Recent measurements indicate the location is twice as clear as the Paranal observatory in the Atacama Desert! 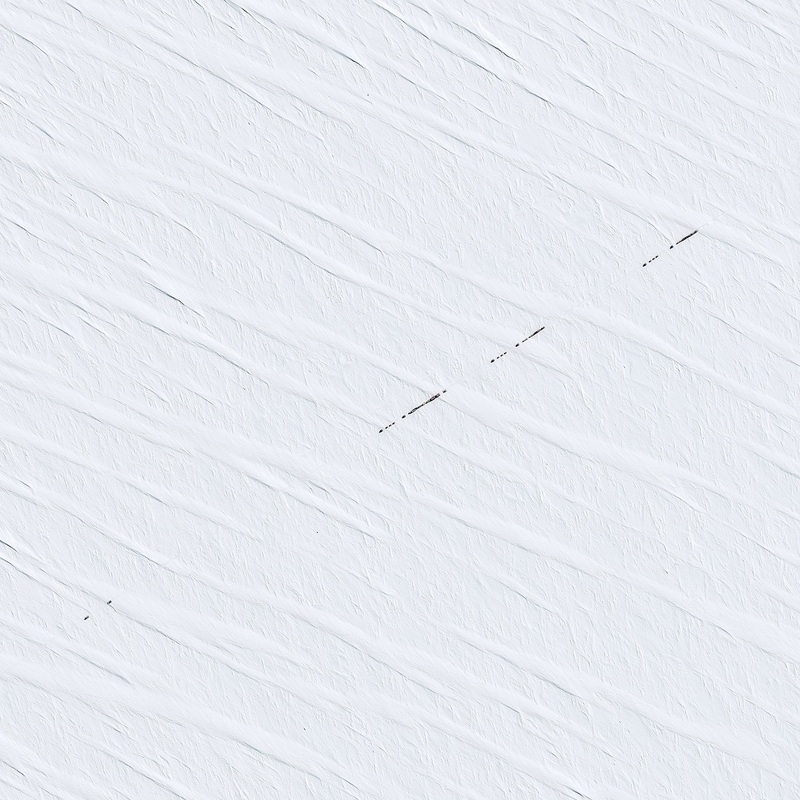 Some sensors here in Antarctica give similar results to satellite-based deep-space observatories. Next I climbed the so-called American tower, a 40-m high aluminium structure full of meteorological instruments placed at various heights that help to improve climate models. During the winter someone needs to climb it every week, whatever the temperature (which goes down below –80°C!). No one knew when we could leave Concordia as supply planes were unable to depart from the Italian base Prud’homme due to weather conditions. A recent deadly accident reinforced the flight safety rules. I would have stayed longer but unfortunately on day four my name was on the list of nine ‘pax’ to go on the next available plane. Best to be on the safe side as no one knows when the next aircraft will fly. It was an amazing experience in itself as we crossed 1100 km of icy landscape following the tracks of the Raid supply trail. 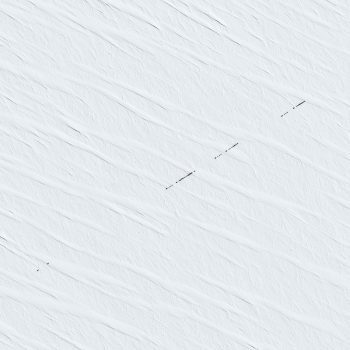 We actually flew over them at very low altitude, to inspect the back-up runway we had prepared on our way to Concordia. 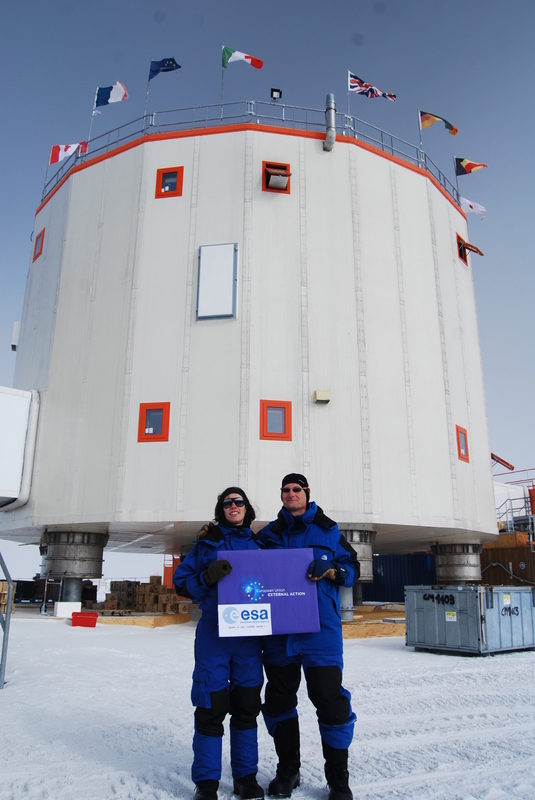 A number of links and analogies exist with space activities here: the outer space treaty is similar to the Antarctic treaty; multinational research is performed here like on the Space Station; the environment is extremely harsh (-89°Cm hypoxia at 660 hPa air pressure, 20 % air dryness, extreme day-night cycles and unusual UV radiation); it is difficult to reach; despite this we have a permanent human both in space and in Antarctica; absolute need to recycle as much as possible; full autonomy is required as no rescue is possible); measuring cosmic radiation; ensuring satellite data is correct; Antarctica has navigation system ground stations. 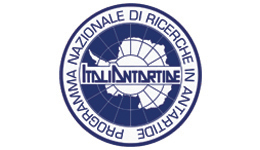 Concordia is the only bi-national (French-Italian) base in Antarctica. It is a pity that not more ‘europeanisation’ has been done so far by other stations. An ESA and/or EU impulse would be welcome. 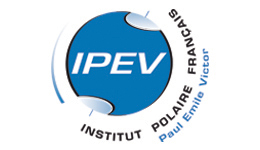 I am now eager to spend more time in Dumont D’Urville where a lot of science is going on as well. Before leaving I got some unusual stamps in my passport! 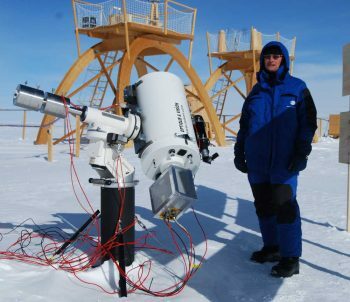 Is there any possibility to go to the Concordia base and try to photograph the planets of the solar system with professional equipment (?). it would be advisable to invite Damian Peach http://www.damianpeach.com/ and Christophe Pellier http://www.planetary-astronomy-and-imaging.com/en/about-this-blog/ for cooperation in photography planets in such good seeing conditions ?